Made from 100% mango wood this beautiful 4 drawer TV stand has been made to be an attractive base for your entertainment system. 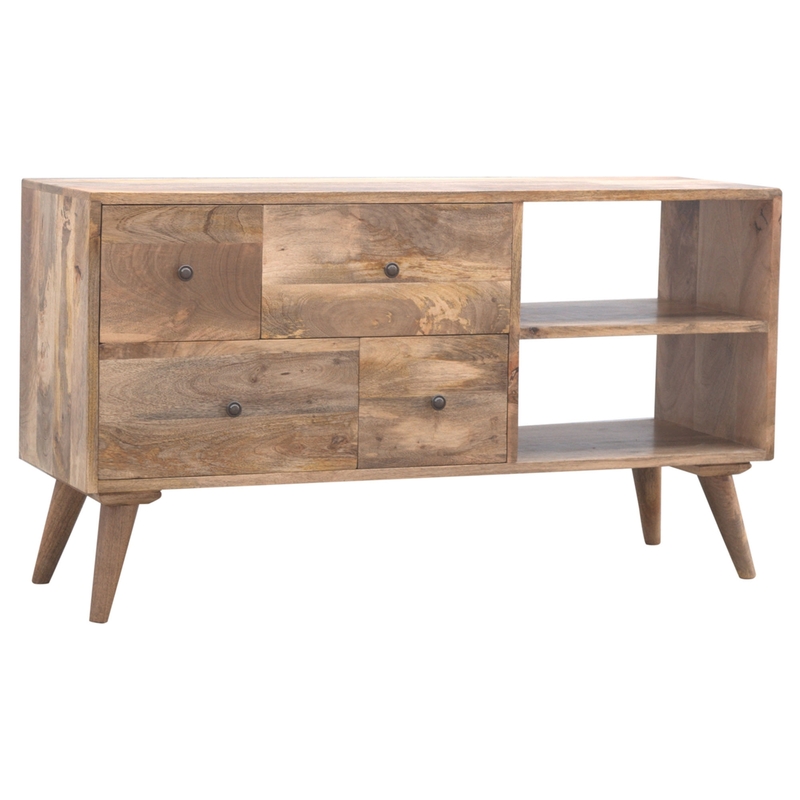 Featuring a double backless shelf for your entertainment accessories' wires and any other bits and bobs complemented by a gorgeous oak effect finish which makes this TV stand a must have addition to your home and for any modern contemporary lover. This beautiful piece of furniture will give you the wow factor your home deserves.